All Your Foam Are Belong To Us! You know that hunk of pink insulation foam you’ve got in your garage that was left over from a project and you just don’t have any place to put? Bring it to us! We’re gonna make something. Size doesn’t matter. Drop it off and your friendly bartender will put it in the basement where it will become something both unrecognizable and advantageous. Our quarterly Seasonal Tasting is upon us! This Saturday from 5-7, we’ll be giving members a free sneak peek at our new seasonal specials, which are rolling out the same day. AND the Riverwest Bakery Co-op will be serving assorted loaves of bread for a tasting. You can sign up for their CSB (Community Supported Bakery) at the event. – Every weekday from 3-7pm: $3 Lakefront Pints and $1 off rails. Introducing Pizza + Pitcher for $15 every happy hour. We at the Riverwest Public House Cooperative appreciate hearing the viewpoints of our members and neighbors on this issue. Please allow me to clarify some details for you, as it seems some members of our community have been misinformed on the recent happenings at the Public House. On July 8, the Milwaukee Palestine Solidarity Coalition (MPSC) approached the RWPH Board of Directors to participate in a cultural and economic boycott of Israeli products. After their presentation to the Board, the Board decided that it was not in the position to make a decision and asked the MPSC to present to the membership in an open and educational discussion space. On July 31, MPSC presented to members and a non-binding advisory vote was held for the specific purpose of gauging member interest. The Board has not voted to support or not to support the boycott and has not scheduled a vote on the matter. The Board is working to determine how the Public House responds to any requests to participate in boycotts and will respond to this request when it decides on an appropriate method. The Riverwest Public House Cooperative remains committed to providing a welcoming social meeting place, to provide patrons with a variety of affordable local, organic and/or delicious beers, ciders and spirits, and to raise funds to propagate other cooperatives through the Riverwest Cooperative Alliance. 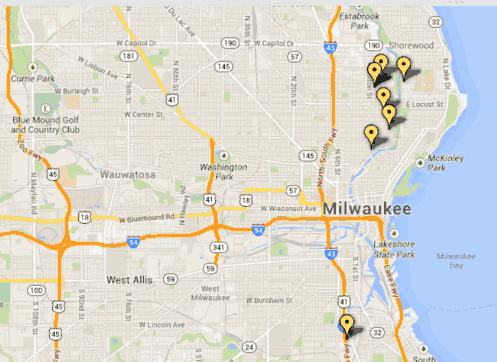 Many of you have been Solar Riverwest supporters from the start. Thank you! We’re hosting an informal get together next week to kick off the solar installations. Some of you are moving forward with a solar install, while some have discovered it’s not the right time. Regardless, many have been great advocates and we want to celebrate your commitment to making a better neighborhood! Meet your neighbors who are installing solar, meet the installation crew, and meet the folks who make the solar panels! Should the Public House support a boycott of Israel? In 2005, Palestinian civil society issued a call for a campaign of boycotts, divestment and sanctions (BDS) against Israel until it complies with international law and Palestinian rights. A truly global movement against Israeli Apartheid is rapidly emerging in response to this call. Members of the Milwaukee chapter of this movement have approached the Riverwest Public House asking the business to join. The Board of Directors deemed a public speaking event to be useful in allowing members and neighbors to deliberate whether the Public House should participate. The Public House currently has no official position on this issue. It presently carries no Israeli products, and has not hosted any Israeli academic or cultural institutions. An informal, non-binding vote among members will follow the presentation. 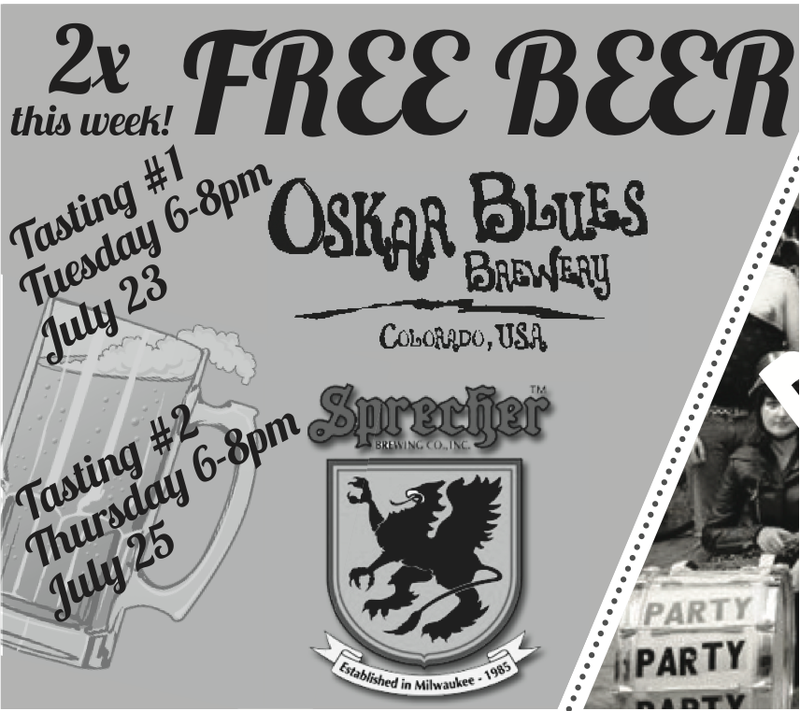 We’ve got a couple of free beer tastings coming up on July 23 and 25th. They’re both from 6-8pm. On Tuesday, July 23, we’re hosting Oskar Blues Brewery from Colorado. You may have noticed their Dale’s Pale Ale on draught here for the past month or so. It’s good stuff, and they’ve got a lot more great beers as well. Again, totally free from 6-8pm. Come imbibe. The second tasting is from Sprecher. They come in and do tastings periodically, and we’re particularly excited for their seasonal Summer Pils. 6-8pm on Thursday July 25! Solar Riverwest is in full effect! Customers have committed to 8 systems at a total of 25.5 kW. There are still several dozen more proposals pending, so this number has the potential to at least double. See the map below for a quick look at our progress. Construction is set to start on the first 2 systems on Monday July 22nd. Keep an eye out for Solar Riverwest yard signs in front of participants’ homes. H&H Solar Energy Services is our contractor. They are based out of Madison, and were the best qualified installer given the uncertainty associated with this project. It was unclear from the start if we would be contracting for 20 Kw or 150 Kw. Additionally, because of the requirements of ME2, 40% of H&H’s labor on the Solar Riverwest installations will come from underemployed or unemployed City of Milwaukee residents. That means your household’s switch to renewable energy has already put 2 electricians from our community to work!